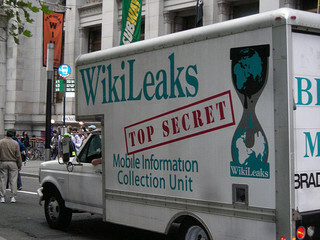 While The New York Times continues its series chronicling internal State Department documents recently released by WikiLeaks, and while other news outlets publish lists of what they deem to be the most significant revelations to emerge from the leaked material, Fresh Rhetoric’s National Affairs Correspondent, Don Chubaleevit, has spent the past several days poring over the cache of cables, telexes, and demarches, hoping to find some lighter, human-interest-type divulgements that more serious journalists might have ignored or overlooked. —State Department personnel manuals warn all employees not to refer to Secretary of State Hillary Rodham Clinton as “Hill.” Oddly, though, in a written protocol dating back to the tenure of Henry Kissinger (and still presently in effect), referring to the Secretary as “Judy” is acceptable. —While Vladimir Putin thought the original British version of “Death at a Funeral” was hysterical (“I pee my pants that movie,” he told a Scottish diplomat after the 2007 premiere), he thought Hollywood’s remake, only three years later, was ridiculous. Confronting the US Ambassador during a diplomatic reception at the Kremlin, Putin was blunt: “Not same funny to make same movie! What is point? First movie not even old yet!” Embarrassed, the American Ambassador apologized to Putin, assured him that both the President and the Secretary of State agreed that the remake was “ill-advised,” and offered Putin, as “a gesture of friendship and recompense,” an autographed copy of Will Ferrell’s new book, How to Make the Same Movie Over and Over Again. Our review of the WikiLeaks trove continues, so check back often, as additional revelations are sure to follow.